Thanks Confessor, great review. I take it that this is not part of that Bootleg series (official releases of live and unreleased recordings of Bob Dylan spanning his whole career). No, it was a stand alone release that first appeared, I believe, for sale exclusively through branches of Starbucks in the U.S. It was later given a proper Columbia/Legacy release, but I had no idea it was now out of print. I seem to remember I had to buy in on eBay from a seller in America and get it shipped over and that it was an expensive purchase even back then. The earliest recording I own of Bob is the 1963 Live At Brandeis University. Totally different set of songs and the audience really appreciated his act. There was even a hilarious song "Talking Bear Mountain Picnic Massacre Blues"
I have that one as well and, yes, it's a great -- albeit fairly short -- listen. I know "Talking Bear Mountain Picnic Massacre Blues" well, since the studio recording (made during the Freewheelin' sessions) first appeared on The Bootleg Series Vols 1 - 3 in 1993 which I bought at the time. It's one of my favourite of Dylan's unreleased songs from that period. I love the bit where, after the boat sinks, he describes his condition by saying, "I remember walkin' up on a little shore, head busted, stomach cracked, feet splintered, I was bald, naked...Quite lucky to be alive though!" Man, I'm jealous. I long to visit America and Greenwich Village is definitely somewhere that is high on my list of places to check out. A musician friend of mine lived there for a bout a year back in 2005 or 2006 and he always goes on about how much I'd love it there. When vocalist Grace Slick joined Jefferson Airplane in the fall of 1966, she came with two songs from her old band, the Great Society -- "Somebody to Love," written by her brother-in-law Darby, and "White Rabbit," her psychedelic translation of Alice in Wonderland -- that became Top Ten hits in the Airplane's grip, dosing America with San Francisco utopia. The rest of this second album is a definitive catalog of the Airplane's acid-rock dynamics and rare composing gifts: Jorma Kaukonen's metallic-snarl guitar and Jack Casady's grumbling-funk bass; the beautiful agony of singer Marty Balin's ballads (he wrote "Today" with Tony Bennett in mind); the weave-and-soar interplay of Balin, Slick and singer-guitarist Paul Kantner. The Grateful Dead's Jerry Garcia attended the Los Angeles sessions as a "musical and spiritual advisor," suggesting arrangements, playing the delicate acoustic leads in "Comin' Back to Me" and coining the album's title when he remarked, "This is as surrealistic as a pillow." The Byrds that made this album in late 1966 were a mess: reeling from the loss of singer-composer Gene Clark and the tensions between singer-guitarists Roger McGuinn and David Crosby. Yet Younger Than Yesterday was the Byrds' first mature album, a blend of space-flight twang and electric hoedown infused with the imminent glow of 1967 yet underlined with crackling realism. The galloping "So You Want to Be a Rock 'N' Roll Star" mocked overnight success, including the Byrds' own (the teen screams were taped at one of their gigs). Crosby's ballad "Everybody's Been Burned" hinted at the stress that soon culminated in his firing. And in "My Back Pages," McGuinn's stoic vocal captured the crisis and experience in Bob Dylan's lyrics, a lesson reflected in his own determination to keep the band alive. Here's The Top Selling Album List from 50 Years Ago Today according to Billboard. The Monkees had just released their 2nd album which zoomed right to the top and now they occupy the first 2 rungs. 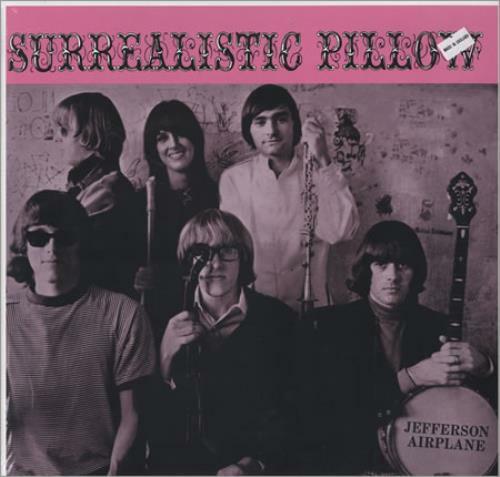 Besides, anyway, the more the merrier"
Surrealistic Pillow and Younger Than Yesterday are two of my favourite albums from 1967. The former is, for my money, the most consistent album of the Airplane's career, and the latter is the first part of what I consider the Byrds "holy trinity" of albums, along with 1968's The Notorious Byrd Brothers and Sweatheart of the Rodeo. Both these February 1967 albums get a lot of play in my house. This song is, perhaps unsurprisingly, based on a real life incident, in which a Father's Day cruise up the Hudson River to Bear Mountain ended in tragedy as a result of the sale of counterfeit tickets and subsequent overcrowding. Monkees slobber over The Beatles-Mike Nesmith and Mickey Dolenz fly out to London. Nesmith is in attendence as The Beatles record A Day In The Life utilizing The London Symphony Orchestra. Dolenz meets McCartney and the pose together. Dolenz sees Till Death Us Do Part on British TV and uses the term "Randy Scouse Git" from the programme for the title of The Monkees' next single release "Randy Scouse Git", not realising it is an offensive term. British censors force the title to be changed to "Alternate Title" in the UK. The first of seven victims of the "Kenosha Killings", a 17-year-old girl, disappeared after leaving her home to walk to a drugstore. All of the people murdered between 1967 and 1981 lived between 64th Street and 67th Street in Kenosha, Wisconsin, and all would disappear at or near an alley that ran between those streets. The serial killings would remain unsolved fifty years later. New Orleans District Attorney Jim Garrison surprised reporters when he said at a news conference that, after he and his staff had investigated the Kennedy assassination, "We solved it weeks ago. There remains only the details of evidence, and there is no question about it. We have the names of everyone. We have all the details." President Johnson sent a message to the U.S. Senate, asking for the introduction of what would become the Public Broadcasting Act of 1967. "I am convinced," the President said, "that a vital and self-sufficient noncommercial television systerm will not only instruct, but inspire and uplift our people." The creation of the Corporation for Public Broadcasting would be signed into law on November 7 and would create public funding for the existing National Educational Television network. On June 23, 1970, the corporation would be sufficiently funded to for the Public Broadcasting Service (PBS) to be created. The famous fight where Terrell refused to call Muhammed Ali by his new name and instead would only address him as Cassius Clay. I watched highlights of this fight on YouTube just last week and Ali was clearly as mad as hell about it, shouting "what's my name?" at his opponent in the ring, before unleashing another volley of punches. Ali was all over Terrell from start to finish and Terrell certainly took one hell of a beating. The fact that he went the distance with a clearly ticked off Ali, even though he lost, speaks volumes for Terrell's own stamina. I'll have to look up some the ones on that Scottish list I'm not familiar with. Cosmic Rough Riders in particular sounds like my kind of thing. I would probably include The Sensational Alex Harvey Band and Nazareth on my list, even though I only know one album by each really well (The Impossible Dream and Razamanaz, respectively). I just realised that without really thinking about it I've been assuming Slade was from Scotland all these years because Noddy Holder used to wear those tartan outfits. Naturally, when I looked them up to check I saw they're from England. Conversely, I don't think I knew Donovan was Scottish, or if I ever did I forgot it. Their Poptones debut Enjoy the Melodic Sunshine is the only place to start with the Cosmic Rough Riders. Still their best album. How about posting some double takes? Why stop at double takes?